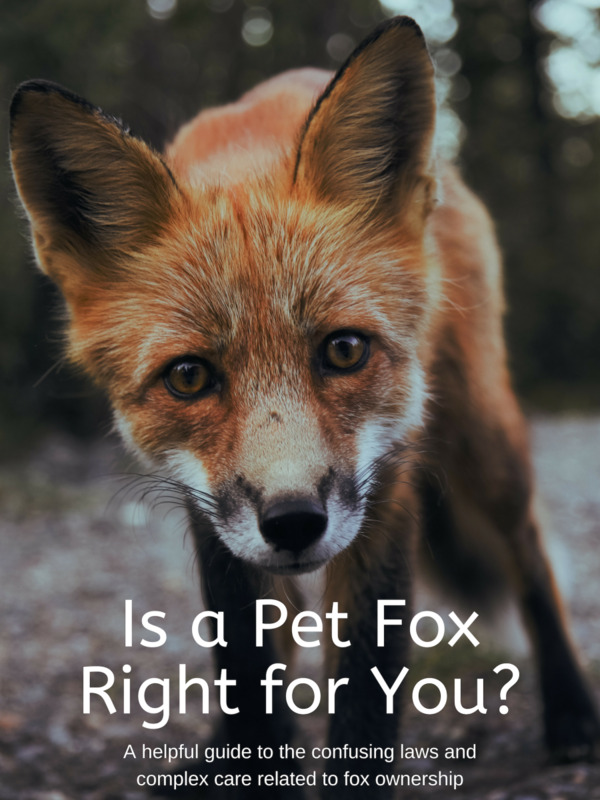 New Jersey pet laws are excellent to demonstrate how no two states are alike when it comes to the rules for keeping exotic pets. 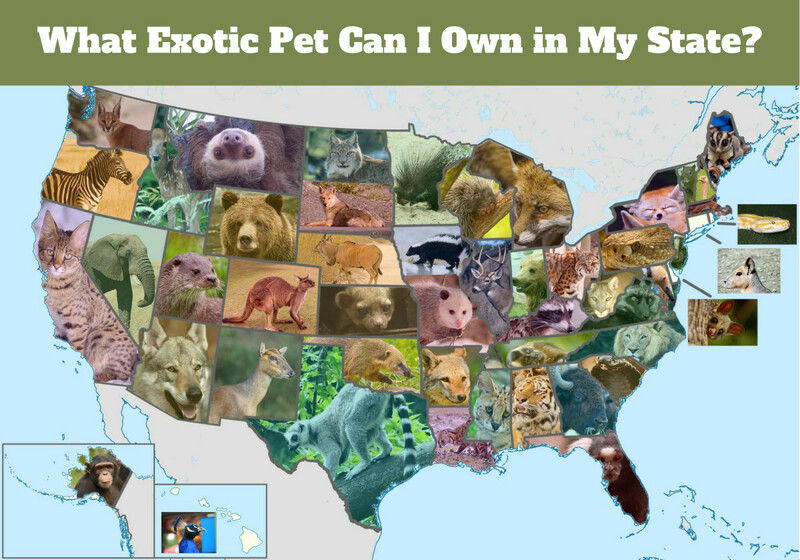 New Jersey may be considered to have an exotic pet ban because the "big five" (venomous and large reptiles, primates, bears, exotic felids, and exotic canids) are illegal, but there are a surprising number of species that are legal. 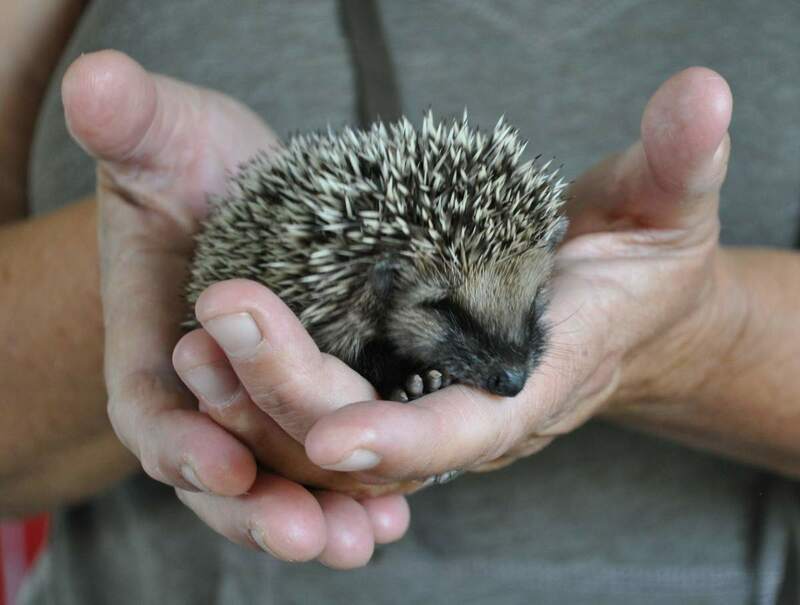 Surprisingly, a permit is required to own common species such as ferrets, macaws, pythons, hedgehogs, and skunks. The good news is that these permits, called Individual Hobby Wildlife Species Possession Permits, are obtainable and have a relatively reasonable fee. You also only need one permit for any number of animals. Surprisingly, unlike its neighboring states, prominent rabies vectors, like skunks, are legal with a permit in NJ. 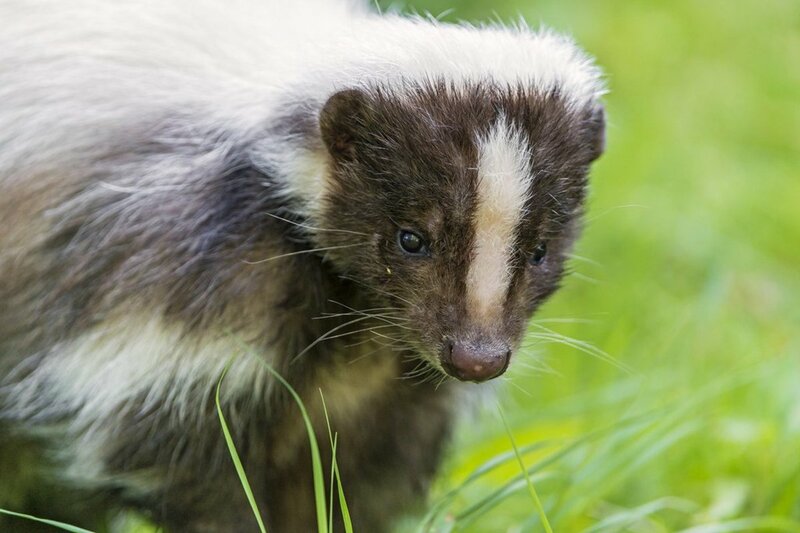 Skunks are not even legal in some states where big cats and bears are, such as Nevada and North Carolina. 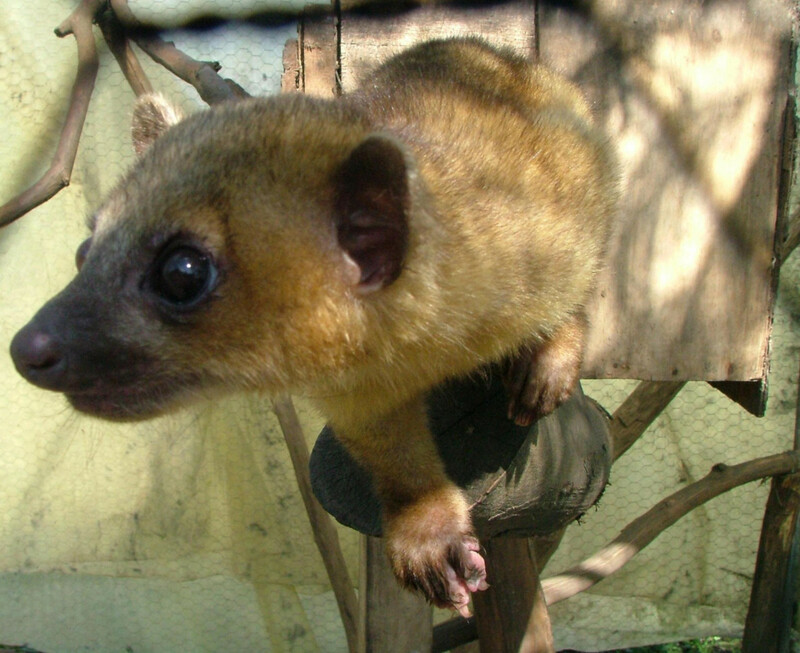 These creatures are popular exotic pets that are captive-bred, "de-skunked," and considered to be domesticated. There is no reason for them to be illegal anywhere. Q. Can I have a pet raccoon, skunk, or opossum in New Jersey? A. Yes, but only if purchased from a licensed pet dealer. A Captive Game Permit would be needed. You cannot obtain a raccoon, skunk or opossum from the wild and keep it as a pet. 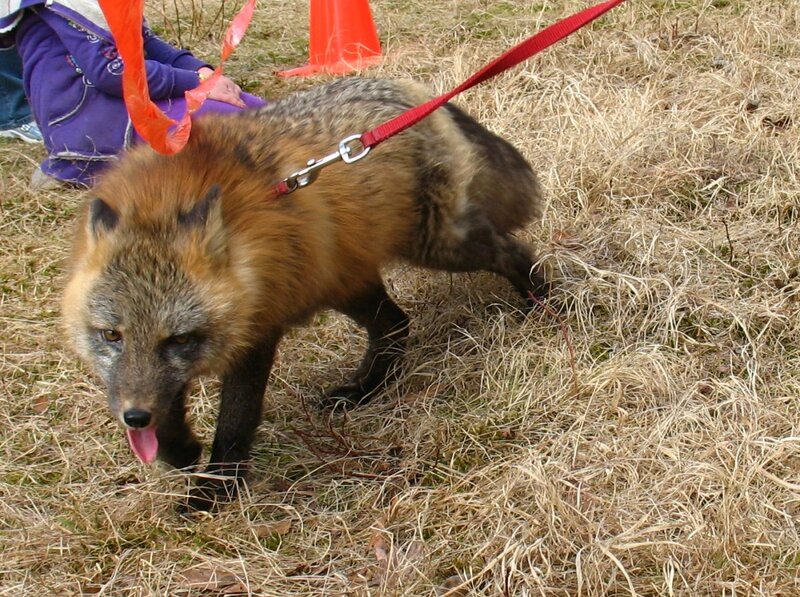 It is explicitly stated that these animals, two of which are rabies vectors, are legal in the state provided one obtains a permit. 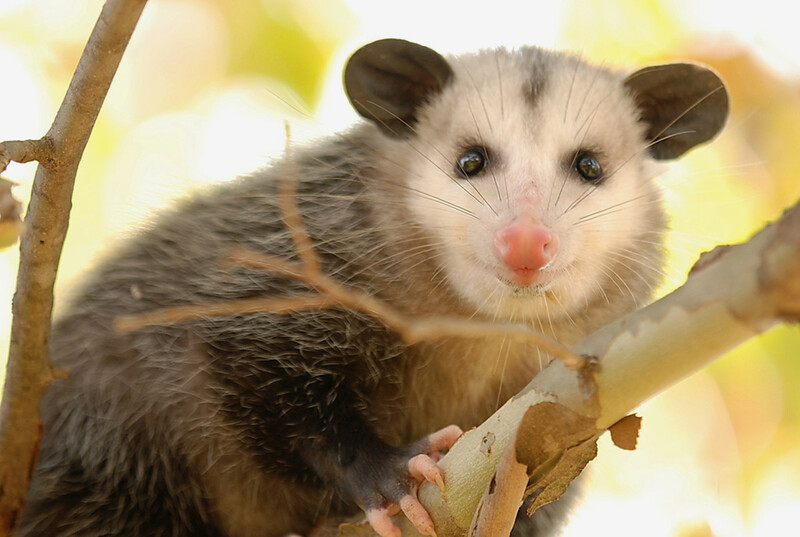 Opossums are said to be resistant to the rabies virus due to their low body temperature. The permit application appears to be reasonable, only asking for your veterinarian, the animal’s diet, and intended caging. There appears to be no requirements that would be hard for an average pet owner to meet. Raccoons cannot come from the wild, they must come from a licensed breeder, but this is a good thing due to rabies concerns. 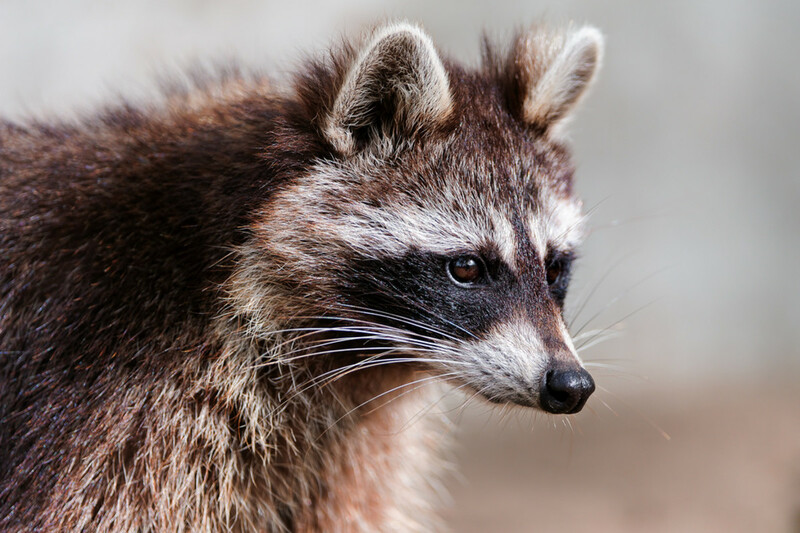 Be aware that raccoons will likely be euthanized if they bite or scratch a member of the public to test for rabies because the vaccines are not approved for them. This is the case for most exotic mammals. New Jersey has a list of animals that are prohibited and are illegal as ‘pets’ (no permits are issued to pet owners) that include the ‘big five’ (see first paragraph) and species that they’ve determined to be deleterious to the environment or public health. Two rodents, ground squirrels and prairie dogs (likely due to the old monkey pox scare of 2005) have qualified. Monk and ring-neck parrots are able to survive in a Northern climate and are also illegal. On the other hand, New Jersey has a list of animals that are not regulated and can be kept without a permit. 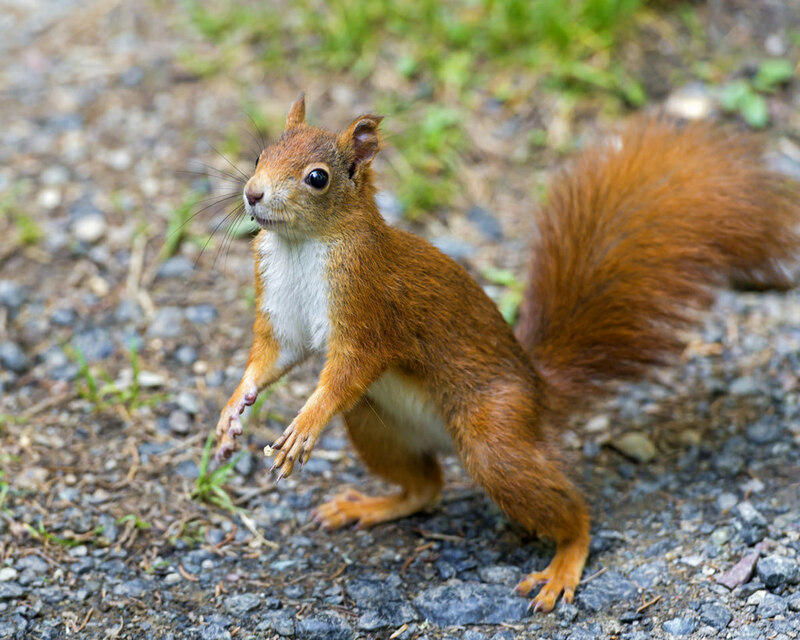 The red squirrel is on this list, and also chipmunks and flying squirrels. 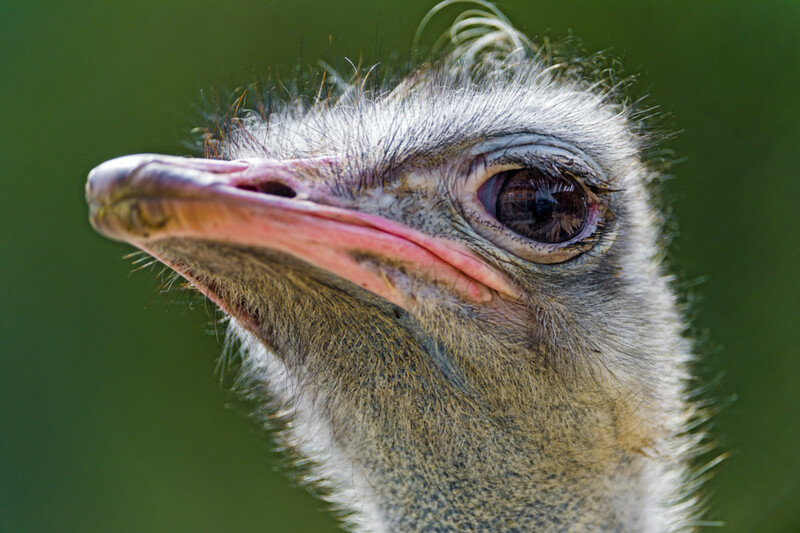 Ostriches are giant birds from the African Savannah and people consider them to be wild animals, but they are often legal due to their agricultural use in many states. Please note: Emus, Ostriches, Greater Rheas, Lesser Rheas were designated as agricultural livestock pursuant to P.L. 1997, c. 316 (N.J.S.A. 4:2-17) and Llamas, Alpacas and Guanacos were designated as agricultural livestock pursuant to P.L. 1994, c. 33 (N.J.S.A. 4:2-16). Therefore, they are considered exempt species and DO NOT require a permit for possession. 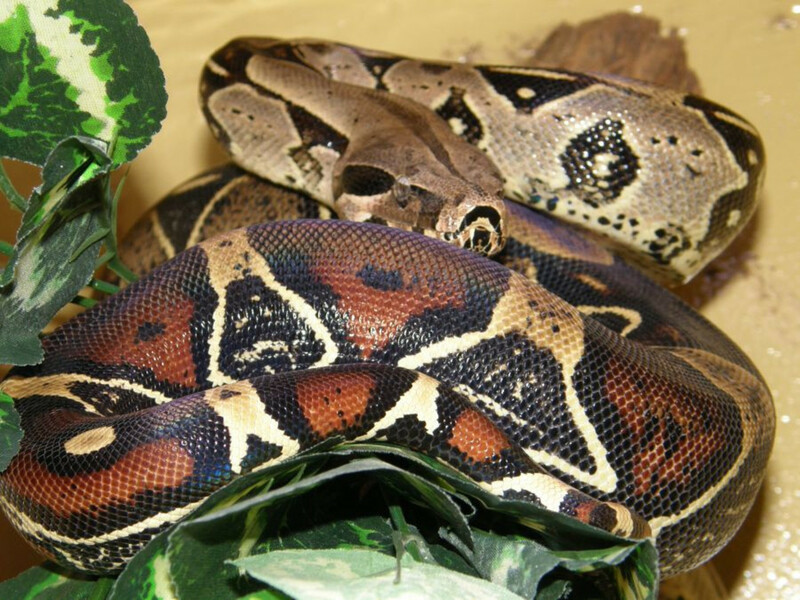 Also called a red-tailed boa, this is a relatively large species with a name that scares people who know little about snakes. It is actually common in the pet trade and poses a scant risk to public safety. This species is legal to keep in New Jersey even without a permit, which is a good thing. From 7:25-4.5 Additional Species: A permit shall be required for any other exotic mammals, birds, reptiles, or amphibians, or non-game species not specifically exempted by Section 4.4. A permit is required to keep this species, which can be issued to pet owners. Also due to 7:25-4.5, coatimundis, another raccoon relative, can be kept in New Jersey provided you obtain a permit. You’ll want reasonably sized and secure housing for this clever animal to hopefully gain approval from The NJ DEP Division of Fish. 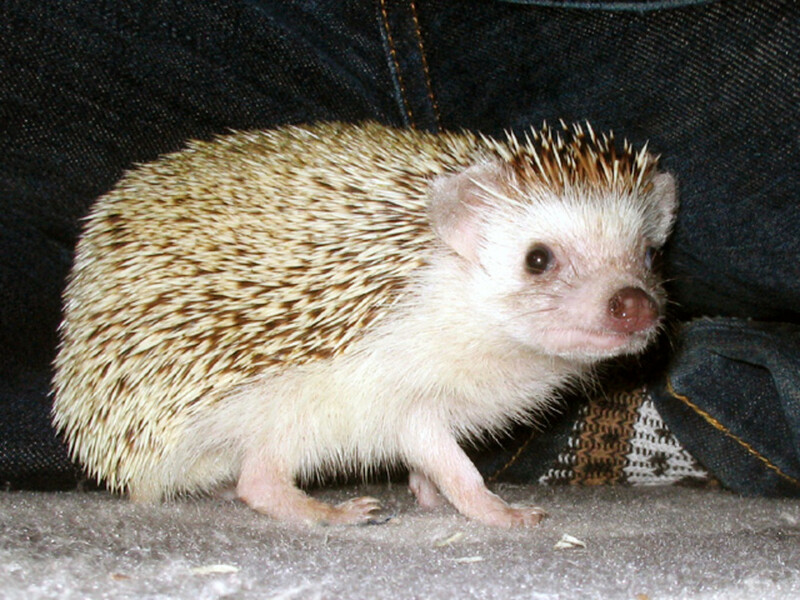 Unfortunately you need a permit to own a hedgehog and even ferrets in New Jersey. The state’s laws can be congratulated for offering permits to pet owners that are (presumably) obtainable and reasonable. But why are species that are completely harmless due to their size alone require a permit? 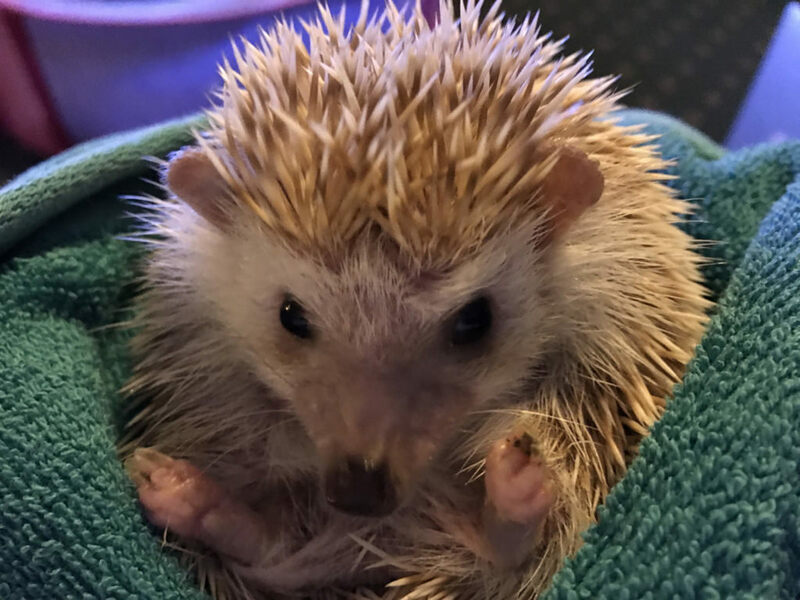 Why should a pet owner be charged a fee for permission to own a pocket pet that doesn’t even threaten the ecosystem of the Northeast? The NJ DEP Division of Fish and Wildlife issues a variety of permits pertaining to exotic and nongame wildlife species. 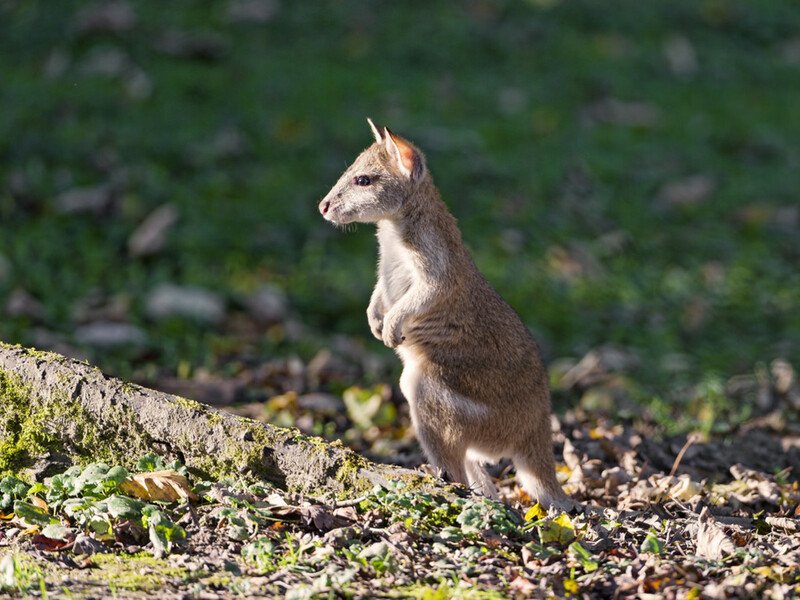 A wallaby is another species you’ll need a permit for, which is a tad more reasonable than needing one for a hedgehog or ferret. They are harmless, but will require secure outdoor housing to prevent escapes. New Jersey also nonsensically requires a permit for half moon conures, red-fronted parrots, African grey parrot, macaws, llamas, exotic sheep, pythons, and skinks, in addition to others. Can I own a fennec fox in New Jersey? Can you own a sloth in NJ? 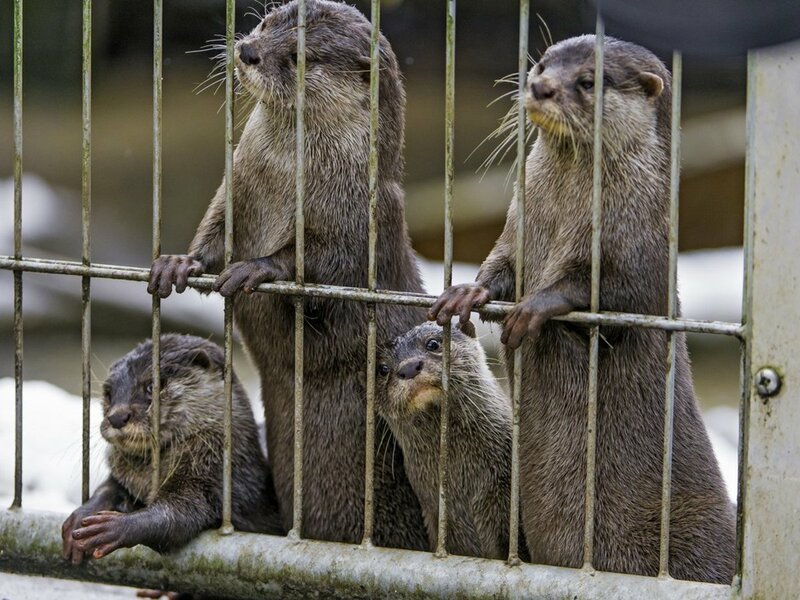 Can I own a otter in NJ ? Can I own a mini pig in Barnegat Nj? Pigs are not illegal in any of the contiguous states, but you will need to check your zoning laws for pet pigs. Many cities and neighborhood associations restrict them. You must call them. 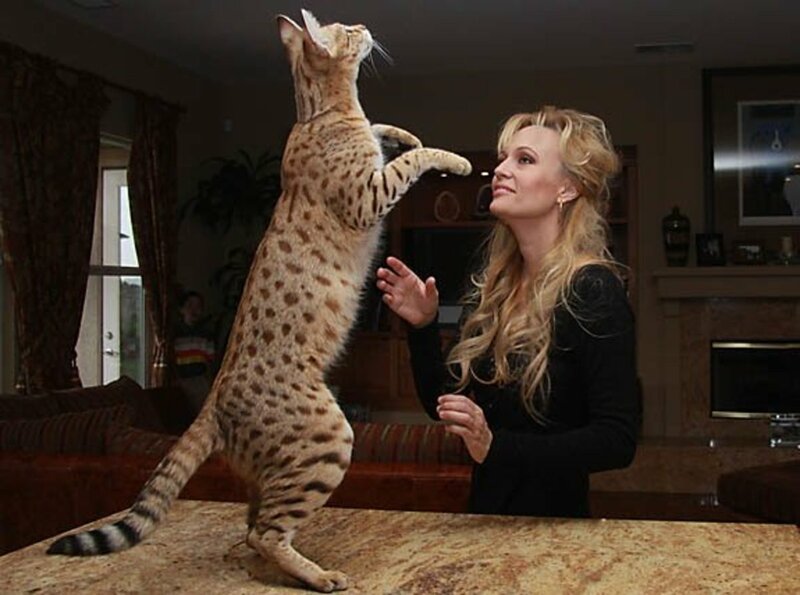 Can I own a caracal? In New Jersey, that would require a permit and inspections, which is not an easy task. Can I own flying squirrel in New Jersey? Yes, no permit is required. Can someone own a Capybara in NJ? Can I own a chinchilla in New Jersey? Can I own a sloth in New Jersey? Can I own a bearded dragon in NJ? Can I own a tarantula in NJ? can I own an octopus in New Jersey? Can I own a ferret in New Jersey? If so, do I need a permit? Can I own a kangaroo in New Jersey? Yes, but you need to apply for a permit for possession of a kangaroo. Can I own an anteater in New Jersey? You would need to apply for a Class 1 wildlife permit. Can I own a toucan in New Jersey? can I own an alpaca in New Jersey? 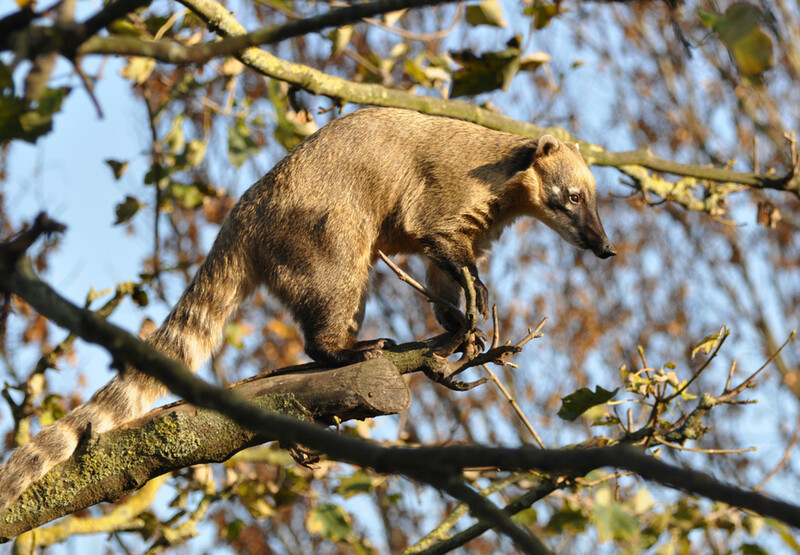 Can I own a pine martin in New Jersey? It's not likely that you will find one, but they should be legal with a permit issued by the state. Can I own a dragon snake in Morris County, New Jersey? Yes, but they are rare and die in captivity, so technically no. Is it legal to own a pig in Jersey City? Yes that is domestic livestock. Can I keep a pet lamb? Can you have an armildillo in New Jersey? Are Argentine Tegus legal to own in NJ? Thanks for the help! Can i own a dinosaurs? Are hognose snakes allowed. Ik they are venomous but its a mild venom that is only dangerous to frogs and other amphibians. Can you have Axolotles In NJ? can I have a pet cheetah in NJ? can you own a cacomistle in NJ? everything is illegal in NJ. what about pigs? is it legal? I thought there might be a loop hole that can be used to own lemurs in New Jersey. Big cats, primates, bears, venomous snakes, alligators, rhinos, ect. The list goes on and on. I don't think that requiring a permit for large, temperamental parrots is unreasonable, actually. A surprising number of people buy thousand-dollar parrots as impulse purchases, then realize they're more demanding than they expected. And while small and non-temperamental parrots are easy to rehome, large and temperamental parrots aren't, at least not if you're rehoming them responsibly. The problem is that the people who know enough to properly care for a large parrot also know better than to keep one, particularly one with behavioral issues as a result of an irresponsible owner (macaws and cockatoos are particularly prone to this). A friend of my aunt's runs a parrot rescue, and she has no problem rehoming the small parrots. There's plenty of people who understand the commitment and think it's worth it for a small parrot. The same is true for amazons and grays, which seem to be less prone to developing behavioral issues than macaws and cockatoos. Though it takes her longer, she also finds homes for the cockatoos, though it takes awhile, because cockatoos have charming personalities that a lot of people find worth it. New Jersey's laws seem surprisingly sensible for the Northeast, but with so many animals under permit they could easily go the way of Maine, Pennsylvania, and Oregon: sensible on paper, but not in practice because the authority that issues permits has decided that while they *may* issue permits for pets, they're not *required* to, and don't *want* to. Also, New Jersey is one of a handful of states that still bans quaker parakeets based on the fear of them being an invasive species. All feral quaker populations come from escaped wild-caught birds, and they've proven not to be invasive, since they can't survive outside of cities. Despite this, New Jersey clings to its ban on quaker parakeets, just like it clings to its bans on fireworks and self-serve gas stations. I have also heard that the only species of gecko you can keep without a permit is a tokay, which is pretty stupid if you ask me.